← Jupiter in Leo 2014 -15: what will it bring ? Here is an extract from a recent interview in which that fine Arts site, TreeHouse, asked me a series of searching questions about my blogging career in particular, and my other four careers – including astrology of course! – in general. It was great fun to do, so if you want to find out more about the Leo behind Astrology: Questions and Answers , as Jupiter settles into the sign of Leo and starts crossing my excessive number of planets in that sign, do read on! 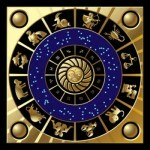 TH: What initially drove you to create the Astrology: Questions and Answers site at http://www.annewhitaker.com? AW: Answering questions about astrology is something I have done both for my students and for myself for a very long time! Then a couple of years ago, I was invited to run an astrology blog from a popular local site here in Glasgow, Scotland, UK. I thought it would be fun to call it Astrology: Questions and Answers, since by this time my astrological writings on Writing from the Twelfth House were attracting various kinds of correspondence via comments and emails from readers. Inevitably, questions were a big part! The local site proved too limiting, so I set up my own Astrology: Questions and Answers blog. This entry was posted in Anne Whitaker gets interviewed..., Uncategorized (35 articles) and tagged Astrology: Questions and Answers, blogging, Ellis Nelson, Ghostbuster Bev, Jupiter in Leo, Linda Leinen, The Jupiter 12 Year Cycle, TreeHouse, Zodiac. Bookmark the permalink.